​What Can SAP Fiori do for Your Organization? As with most things in this fast-paced, high-tech world, older user interfaces are no longer being supported by new browsers, which can create problems for organizations using SAP products. 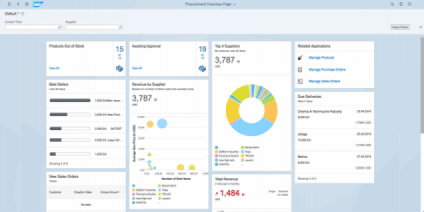 As a result, many SAP customers are switching to the next generation SAP Fiori user interface to take advantage of the many benefits it has to offer. At GroupeX, we receive many questions from organizations about how Fiori can be leveraged to get the most from their existing SAP investment and what to expect with a shift to the SAP Fiori environment. Here are a few things to consider before you work with a software consultant on implementing new applications and functionalities. 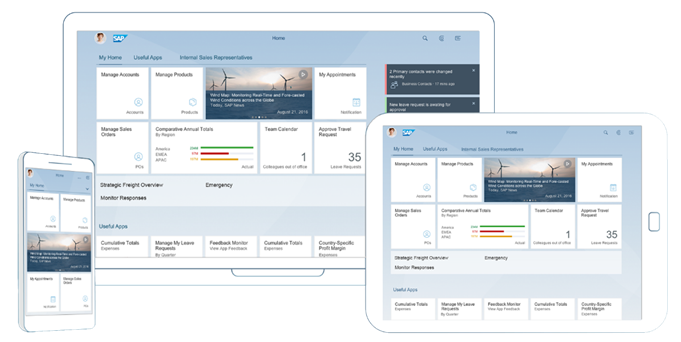 The SAP Fiori user interface is device agnostic, mobile-friendly and users will find if far easier to use, to learn, and to enjoy no matter where they are, which helps to future-proof your SAP environment. With consistency of design and functionality, SAP users will find a more intuitive, seamless experience when working across multiple SAP applications. Consistency of experience also extends to the type of device you use to access the many out-of-the-box Fiori applications. Because SAP Fiori is device agnostic and provides a consistent design experience across all devices, you will be sure that the elements you’ve customized appear on all users’ devices. Rollout of new features is considerably faster because of the reduced time required to code for each specific device and operating system. Ultimately, you have more control over your own system and there will be less dependence on SAP support to help make changes or modifications, saving time and budgetary resources. Fiori provides consistency of design as well as a personalized and user-friendly experience across all lines of business, tasks, and devices, which is extremely important for user adoption. Consistent user experience across all SAP applications makes it easy for users to train and get up and running quickly. Data flows seamlessly and securely from one application to the next making it easy to access the data you need, when you need it. With shared data, there is less chance of input error so reports and/or analysis derived from your company data is far more reliable. Fiori’s built-in extension framework also allows your team to easily enhance prepackaged SAP Fiori applications to fit your unique needs. While there are more than 1,000 out-of-the-box Fiori applications available from SAP, you will need support in determining the ones that work within your existing system and provide the greatest benefit to your organization. SAP has many overlapping products, so it may be difficult to choose the applications that are the most relevant and useful. A knowledgeable software consultant is instrumental in identifying the appropriate apps, setting up a suitable deployment infrastructure (on-premises vs cloud), and provisioning apps with existing Identity solutions. While there are many prepackaged apps that you can start using right away, a consultant will help you get the most from your technology investment. 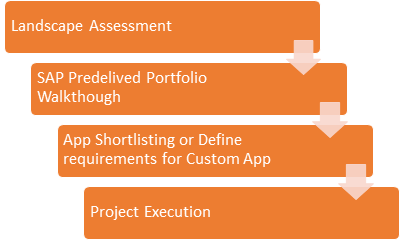 GroupeX services range from short advisory sessions to full-scale implementations\customizations of Fiori apps. We can evaluate existing user interfaces and help plan out the migration to Fiori User Interface. Software consultants, like GroupeX, help to save time and stress by working with your organization to establish new technologies that support your long-term business plans and leverage your existing SAP investment to the fullest. Talk to GroupeX Solutions today to learn more about what we can do to minimize your risk, while maximizing your technology investment.